The Texas Library Association (TLA) has been raffling a chance to own this beautiful original art piece by children’s book illustrator Don Tate. The $5 you spend for your raffle ticket will go to the TLA’s Disaster Relief Fund, which will go to help libraries hit hard by Texas storms along the coast last year. The Rosenberg Library in Galveston lost its entire children’s book collection (it was on the first floor) in the flooding that followed Hurricane Ike. (Most of Galveston Island went under water.) It was one of many libraries along the Texas coast that suffered damage. The TLA Disaster Relief Fund auction has been helping Texas libraries contend with natural disasters since it was started by Jeanette Larsen and Mark Smith in 1999 — always with original art donated by children’s book artists. Read an interview with the co-founder Jeanette Larson by Cynthia Leitich Smith in Cynthia’s blog Cynsations here. illustrators such as Rosemary Wells and Diane Stanley who have furnished paintings for the fund. The winning raffle ticket will be drawn at the TLA annual conference, held this year, appropriately enough, in storm-pummeled Houston March 31 – April 3. You can buy as many as you want. Go here, print your raffle tickets and mail them (with your check, of course) to the TLA office at 3355 Bee Cave Road, Suite 401, Austin, Texas 78746-6763. Straightout donations to the Relief Fund are also accepted of course. The Duke Ellington piece is for a book Don is illustrating by musicologist Anna Harwell Celenza, about how the young Ellington and composer/arranger Billy Strayhorn collaborated on their own version of Tsaichovsky’s Nutcracker Suite. Publisher Charlesbridge is said to be looking at a 2010 publication for the nonfiction work tentatively titled Duke Ellington’s Nutcracker Suite. Speaking of the storm ravaged Texas coast, I just got back from there last night. I was a guest children’s author at the Victoria Public Library’s 2009 Victoria Reads community reading program, and spoke at the library and a stunning historical museum, the Museum of the Coastal Bend on the Victoria College campus, where I saw Native American decorative pieces — scrimshaw-like carvings and patternings on oyster shells dating back 5,000 – 8,000 years B.C. The region surrounding Matagorda Bay apparently teemed with First Americans. Victoria County was a crossroads of Indian trade routes (not more than well travelled Indian trails, really), which explains why various spearpoints and arrowheads on display at the museum can be traced to South America, Mexico, and Canada. It’s like NAFTA existed back then. I had a great time talking with museum director Sue Prudhomme, volunteer archeologist Jud Austin and many other supporters of the museum. Returning home from that trip, I saw a blog post that I wish I’d alerted you to earlier — about your chance to win, among other goodies, a T-shirt with one of the coolest YA novel logo designs ever! You have a chance to win a shirt sporting the impossibly elegant Princess Dracul logo (designed by Gene Brenek), a book, a finger puppet, a signed bookmark, stickers and more — well, just look at all the loot. Eternal is preceded by Tantalize, which is set in Austin and features vampires and assorted were-folk. (Austin is kind of a bat capital of the South, in truth. ) Eternal also has vampires and other new characters you can sink your teeth into — wait, I mean it the other way around — and one of these in particular, Princess Dracul inspired the great glyph by artist-author Brenek (also of our Austin SCBWI chapter!) 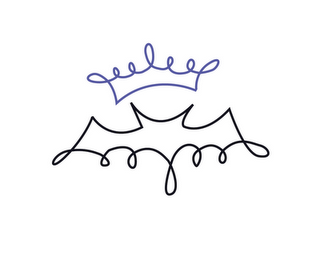 It’s one of many supernatural/regal emblems he’s designed for the book. (They convey such a spooky verisimilitude. ) See for yourself and enter the Eternal Grand Prize Giveaway. But go quickly. The give-away cutoff is Tuesday, February 10, when Eternal goes on sale! Author-illustrator Sarah Ackerley, a member of our SCBWI chapter’s Inklings illustrators group who now lives in San Francisco sent a link to this funny video about a year in the life of children’s book author-illustrator Jarrett Krosoczka. It features guest appearances by Jane Yolen, Tomie dePaolo, Mo Willems, Jon Scieszka and some of the Blue Rose Girls . You can get some free lessons on color and a group of surefire palette strategies here. They’re from my online course about how to illustrate a children’s book, Make Your Splashes; Make Your Marks! You’ll find the signup for the free lessons here.